Did you know that it PAYS to be likable? 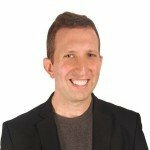 In our upcoming webinar, "Why It Pays To Be Likeable," Dave Kerpen, CEO of Likeable Local, will be using case studies from small businesses to show the results of a successful social media strategy. He will explore what today’s consumers expect from organizations and ways you can satisfy their needs. Consumers now demand more from brands, making principles like responsiveness, delivering valuable, authenticity, transparency, and adaptability no longer a choice. By meeting, even exceeding, these high expectations, companies will become more likeable and see greater business and professional results. And in the digital age, with social media serving as the great equalizer, this truth has been even more evident. It is possible for business of all sizes, whether they are large corporations or small businesses to achieve amazing results through innovative social media strategies. Social media is changing the way organizations operate, and now is the time to figure out how to make it worst best for YOU and YOUR company. Dave has years of experience as the founder and CEO of Likeable Local and cofounder and Chairman of Likeable Media. He is the #1 LinkedIn Influencer of all time in page views and is the 25th most followed person in the world with over 300,000 followers. He has been featured on CNBC’s “On the Money," ABC World News Tonight, CBS Early Show, the New York Times, and countless blogs. Dave has also keynoted at dozens of conferences across the globe and webinars for organizations such as WOMMA, TEDx, SXSW, and the American Marketing Association. He certainly knows about how to make an organization likeable!